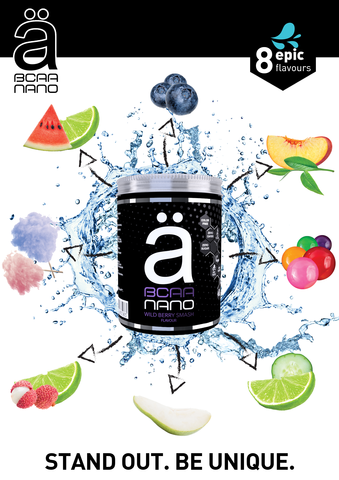 Ä is developed and created on the cutting edge NANO-SYN™ technology which provides you 5 times faster and effective active ingredients absorption. It delivers a premium grade vegan branched chain amino acid (BCAA) with zero sugar, fat or coloring. 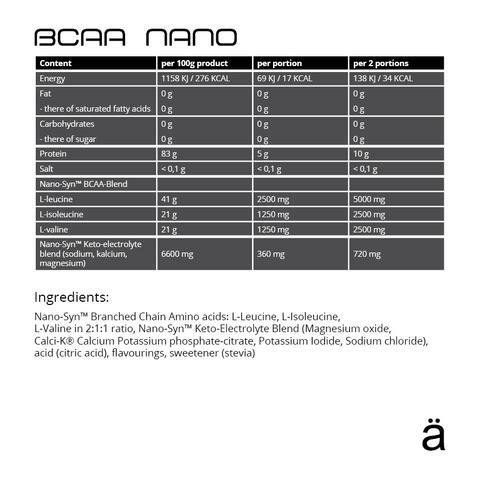 A aims to provide you the highest quality bcaa without any artifical colors or sweeteners alongside a unique taste experience. Flavours are created and tested by flavour experts to provide you an avant garde and exuberant flavour selection. A is a state-of-art bcaa which leads to the future sports nutrition science. Made in a facility that uses soy, egg and nuts. 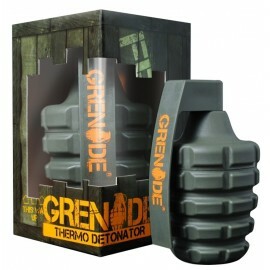 Take 2 servings between meals, before, during or after your workout or anytime you like.